I am a Phillies fan, and as it goes against the Mets, I like to see the Phillies finish above the Mets. I take some satisfaction in seeing the Mets not win. This is my Philly perspective looking up the turnpike to Queens and Manhattan, and this is what is fun about being a sports fan. I also care deeply about how teams look on the field. The Mets are one team with what I consider to be a perfect, let’s call it an “archetypal uniform”. Think Red Sox home, Yankees home and road, Royals home, Cubs home, Cardinals home and road. It is the paradigmatic expression of a team’s on-field uniform. I love the Mets uniforms, and I am delighted to see the Mets return their primary colors to blue and orange, from blue, orange, and black. In 2012, the Mets are wearing their classic uniforms which are outstanding and classic. They fit the team both historically and phenomenologically. The Mets entrance into the National League in 1962 was predicated on the absence left in the New York market by the 1957 departure of the Brooklyn Dodgers, from Flatbush, and the New York Giants from the northern tip of Manhattan, across the Bronx River from Yankee Stadium. Mets blue is the Dodgers, and Mets orange is the Giants. The script Mets wordmark across the home is the Dodgers home script, and the arched New York across the road jersey is the road Giants jersey. The Mets cap is the Giants cap with the black changed to Dodger blue. The Mets played their first two seasons at the Polo Grounds, the Giants’ ballpark from 1890 to 1957. 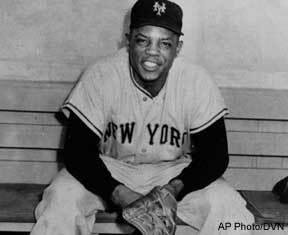 The team signed former Brooklyn Dodgers and New York Giants players. Gil Hodges managed the team to its first World Series in 1969. 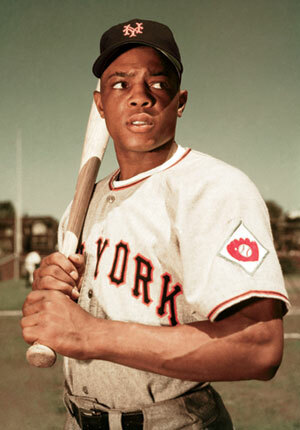 Like Ruth returning to Boston in 1935 with the Braves; Willie Mays finished his career in New York with the Mets. 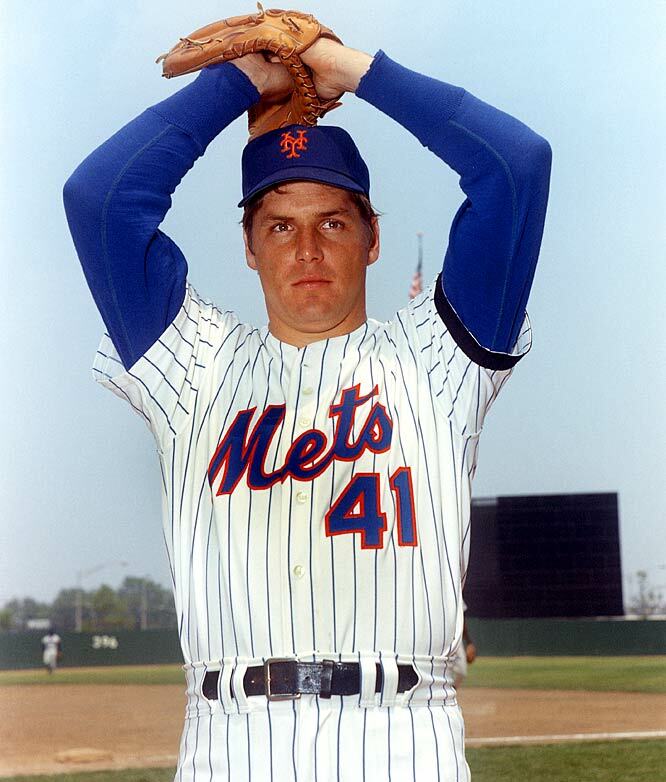 The Mets wore this uniform when they lost, and when they won. They wore a version of it when they won the 1969 World Series, and won their second championship in 1986. The uniform is the Mets history, and it is New York baseball history. 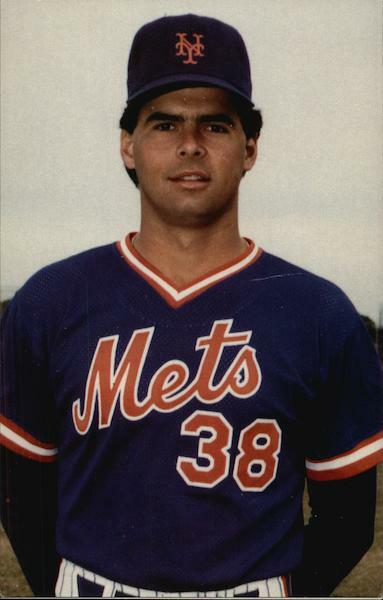 In 1998, the Mets went Black-For- Black’s-Sake (“BFBS”). 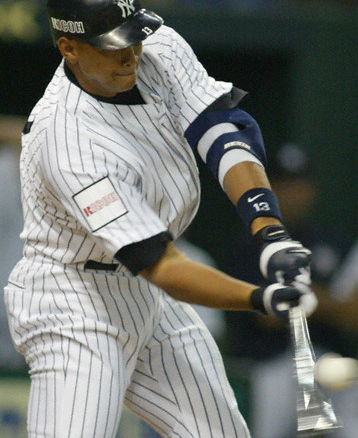 I did not care for black accents and unis, and it saddened me when they made the World Series in 2000 against the Yankees. This was the first Mets-Yankees New York World Series, and I wanted the visuals to look right. They didn’t. Here was Mike Piazza, one of the greatest catchers of all time, in a New York World Series, wearing black censor blocks over his blues and oranges. The Mets are celebrating the team’s 50th birthday this year. Since the mid-1990s, it has been the current trend in Major League Baseball to wear a season-long patch on one’s sleeve for any multiple-of-five anniversary, and for any significant organizational death. More so, the team has retained a lone black jersey as an official and approved alternate. 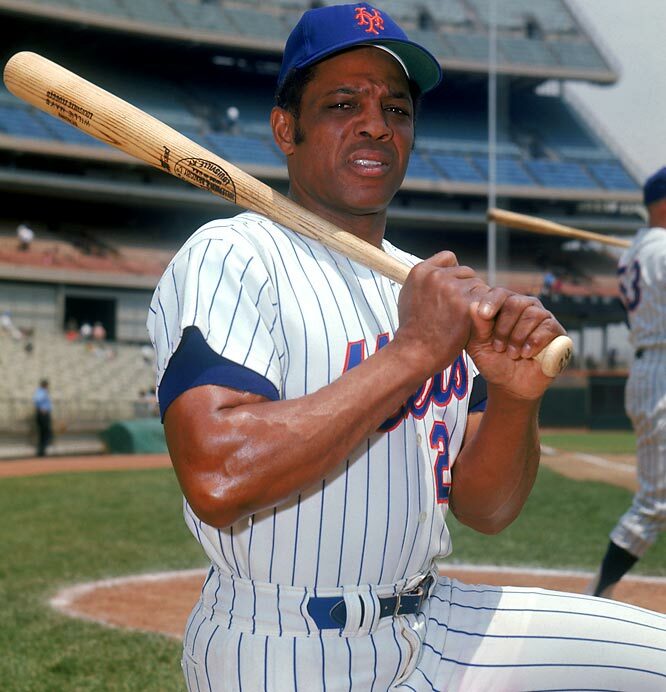 And it would be wonderful if they removed the names from the back, as the Mets did from 1962 to 1978, and in 1999. 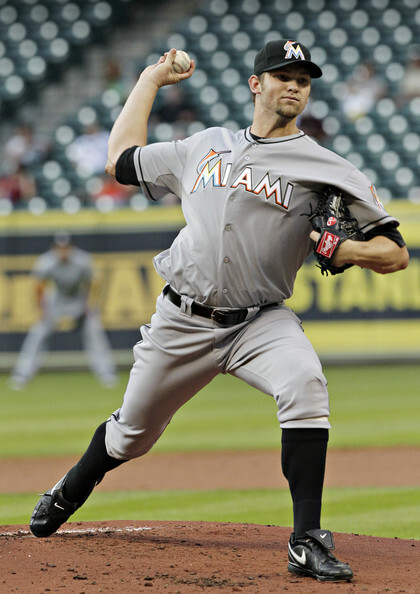 But these complaints are trifling compared to the regular beauty of these unis in game action. PLA offers the team’s 2012 primary home jersey here. The team first introduced an all-white home uniform in 1997, added black trim during the horrid black-out years, and now wear this jersey in 2012. The team is slowly decommissioning a last black alternate jersey which is still available in 2012 here. Once again, the classic Mets road jersey is available. It’s a good time to be a fan of the Mets’ visuals! Yesterday was Terence Kearn’s birthday; Happy big Rick Aguilera, good buddy. When will it happen-an update: Still no Marlins orange cap Wednesday night against Houston , as the team has hit the 31-games played ledger. Tonight's the night: We’re looking forward to welcoming you to this evening's second installment of Pro League Authentics “Jersey as Art” four-part series. On the agenda are rare and unique flannel baseball jerseys, a look at baseball’s history in Philadelphia, and an interesting display of virtually all of the commemorative patches worn by the 30 MLB teams. An unusual patch shown below is the 1995 Coors Field inaugural season patch worn on the Rockies home uniforms only. It is a rare example of a commercial brand name, "COORS," for the Coors Brewing Company of Golden, Colo., to appear on a patch worn on the field of play during MLB games in the U.S. or Canada, something, that unfortunately, has become standard operating procedure when MLB teams open the season in Japan. The event is from 6-8 pm at the store located at 137. S. 13th Street (between Walnut/Sansom) in Center City Philadelphia. You’re invited to stop by, enjoy the uniform talk, light refreshments, and a discount on all in-store MLB authentic merchandise. Our next event this summer will be a “can’t miss” date, and tentatively we’re looking at Thursday July 19. MLB Game Worn Jerseys of the Double Knit Era author Bill Henderson will be with us to celebrate the release of the latest (2012) edition of his must-have, Bible of modern baseball jersey information. The last release of Bill’s work was in 2009, so we’re looking forward to the update. A Reminder: For more news about Pro League Authentics and musings on the world of uniforms, Like our Facebook page and follow us @PLAphilly.